CFS Electrical – Your Electrician in Salisbury. Clint Short of CFS Electrical is a reliable NICEIC approved electrician in Salisbury. Having qualified over 20 years ago and working full time since then, there is nothing electrical that he can’t fix (assuming it’s fixable) or install. He prides himself on completing all jobs to a high standard. He typically finds faults quickly, repairing items cost effectively, or installing electrical products either sourced by the customer or supplied directly by CFS Electrical. He is always available to give customers advice about electrical products, especially the ones with lots of different brands and specifications such as LED down lights, security systems and extractors. CFS Electrical – Services provided throughout Salisbury, Wiltshire. Don’t worry if your requirement isn’t listed above, it’s almost impossible to write all of the services that we provide for our customers. Why not give Clint a call today on 01722 335442 or 07780 610366 to discuss your specific needs. Most new customers contact Clint through a recommendation from a friend or acquaintance that has already worked with him. If you have recently moved to the area, or your electrician is away on holiday or unavailable, then why not give me a call and I’d be happy to meet with you to discuss your requirements. I can provide you with references from a long list of happy customers or you can check out my reviews online. I offer customers from Salisbury and the surrounding area of Wiltshire great value for money. I charge competitive prices and CFS Electrical is not VAT registered, which instantly saves you 20% compared to many electrical contractors in Salisbury. We also don’t subscribe to advertising websites like Checkatrade, not because we don’t get great reviews, but simply because they charge a lot of money and we prefer to pass these savings onto the consumer. We provide free quotes, so why not contact Clint Short of CFS Electrical today to discuss your requirements and get an estimate. If it is a larger project, then following a site visit, he will provide a formal, written quotation. Finding a professional, qualified, friendly electrician can sometimes be challenging. 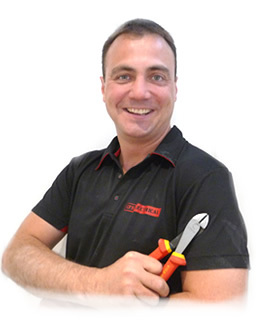 Hopefully by visiting my website, I will have helped you to find your new electrician in Salisbury today. Why not give me a call today on 01722 335442 or 07780 610366.